Everyone wants to have a great looking, unmarked car. This is especially true if you have invested heavily in your vehicle, either by buying an expensive car or by adding accessories and getting it detailed. While regular cleaning can certainly go a long way to ensuring that your car doesn’t look dirty, it won’t protect against the many scratches and dents that can occur when driving and when parked. But there is a solution. Clear Bra paint protection film is a thin layer of plastic wrap that can protect the most vulnerable parts of your car. And in this post, we will learn all about it. How did Clear Bra paint protection come about? Clear Bra paint protection is actually a pretty high tech piece of kit. It was first produced using urethane technology, that was developed during the Vietnam war as a fantastic way of protecting fighter jet surfaces. These lightweight and cost-effective protective surfaces didn’t become available to the general public until the 1990s however. But now, if you have your car protected with Clear Bra, you can say you are using advanced military technology—just like James Bond. The film that covers your car is mainly made from urethane, a synthetic polymer made of carbamate. There are also top and bottom layers that surround the urethane made up of elastomeric polymers and acrylic adhesive. This allows the film to stick to your car and adds a top layer of protection. 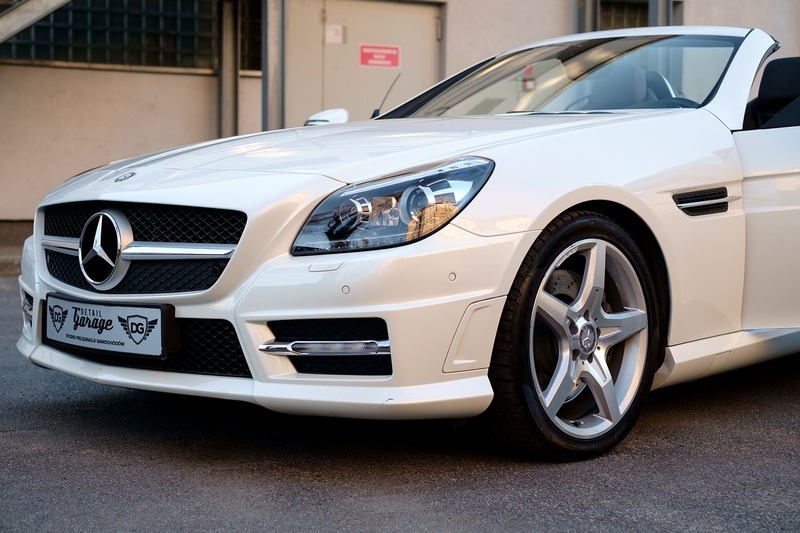 Clear Bra paint protection film should only be applied by trained experts. That’s why you should always consult your local auto body shop if you want to have it installed. The process is relatively quick, but it takes a special skill to be able to apply the film without creating air bubbles between the two surfaces. What is great about Clear Bra? The best thing about a protective film like Clear Bra is that it will protect your car from scratches and chips without you even noticing it’s there. Seriously, even if you look closely you won’t be able to spot the film on your car. This means you can drive off-road with confidence, without worrying about damaging your paintwork. It will also mean that you won’t have to pay out for a new paint job any time soon. Clear Bra paint protection film is great. But there are certain things that you should be aware of. There is a risk that, if applied poorly, your protective film can cause your car to turn yellow after a few years. This can be avoided by having it properly installed and by updating the wrap regularly. It isn’t going to completely protect your car without you lifting a finger, either. If bird droppings or other markings are left on the film, they can and will eat through to the paintwork. In other words, you still have to care for your car. If you are thinking of getting Clear Bra applied to your car, the team here at Chaney’s Collision Centers can help. We are experts at applying these kinds of protective films and can let you know if it is the right decision for you. Give us a call today on (623) 915-2886 or use our online estimate form.